Preparing healthy meals from scratch can take up a lot of your time. Meal replacement shakes can save you from having to lose precious time cooking and help with your weight loss goals. 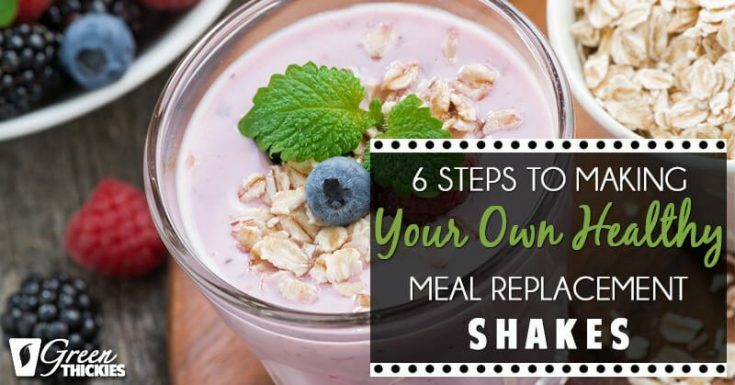 A study at Columbia University College of Physicians and Surgeons discovered how those who had a meal replacement instead of an actual meal or two, lost 5.6 pounds more than those who were maintaining a low-calorie diet for three months. For most of my life, I would get on some fad or yo-yo diet to try to lose a few extra pounds or maintain my weight. It was so frustrating because when I would get fed up with a diet, I would end up putting the pounds right back on again. It was a vicious cycle I needed to eradicate from my life. When I started to replace my breakfast and lunch with meal replacement shakes, I managed to drop 56 pounds and 5 dress sizes in just a few months. Now I want to help you get the same results that I did. Meal replacement shakes have not only helped me to lose weight and keep it off, but I’ve adopted a healthier lifestyle that keeps me energetic and feeling good about myself. 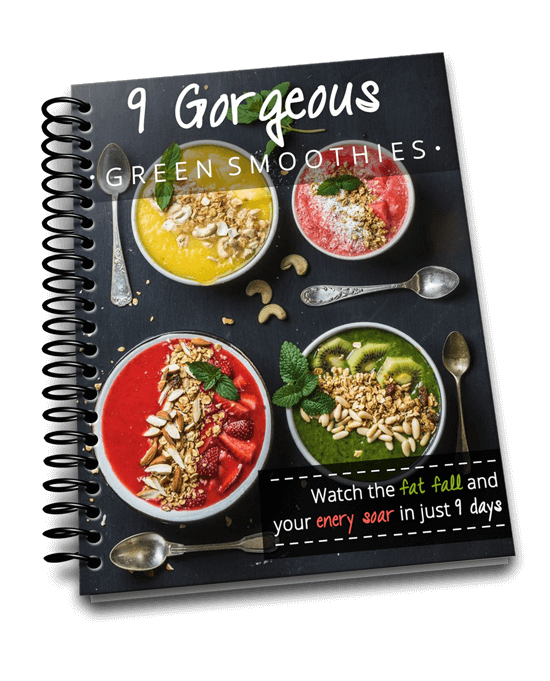 In this article, I will share nine of the best meal replacement shakes and powders you can buy and ones you make with just a few natural ingredients and a blender. 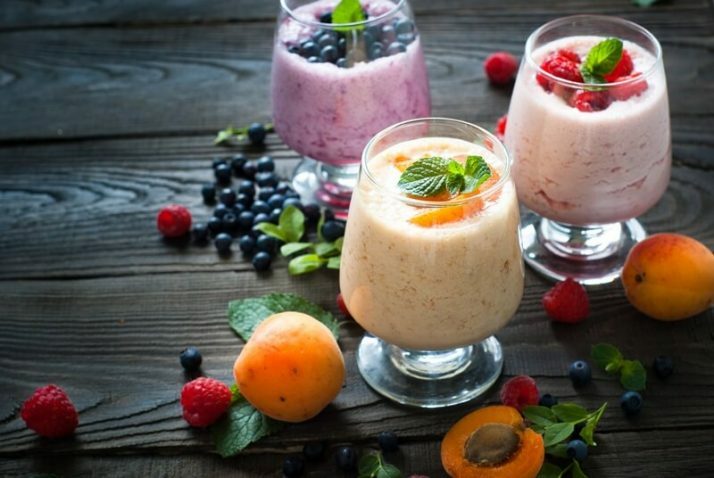 Here are the best meal replacement shakes to fill you up, keep you healthy, help you lose weight and provide you with a complete and balanced diet. As an added bonus, all of these meal replacement shakes are vegan, healthy and natural. I believe that the food you consistently choose to eat day after day should be nourishing and provide all of the essential nutrients in the most natural form possible. The only reason I could sustain my daily meal replacement shake diet for over 10 years now is because I feel so full of energy and so healthy all of the time. 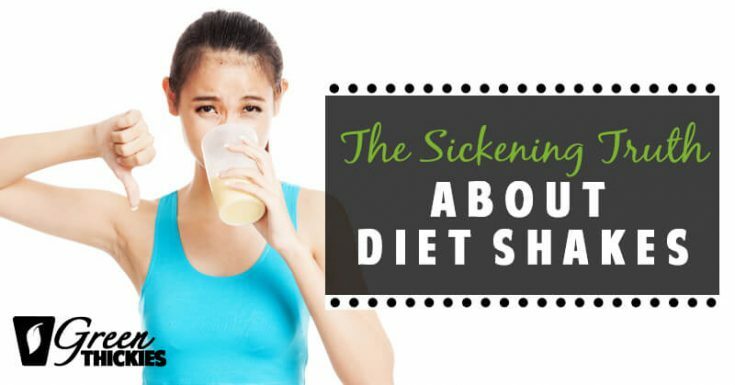 Why Drink Meal Replacement Shakes? Eating regular meals is always the best option, and I would prefer it over a shake. However, a meal replacement shake is a much better choice than skipping a meal altogether and going hungry when you’re trying to lose weight. It’s notably better than settling for fast food, which is easy to succumb to when you have a busy lifestyle. 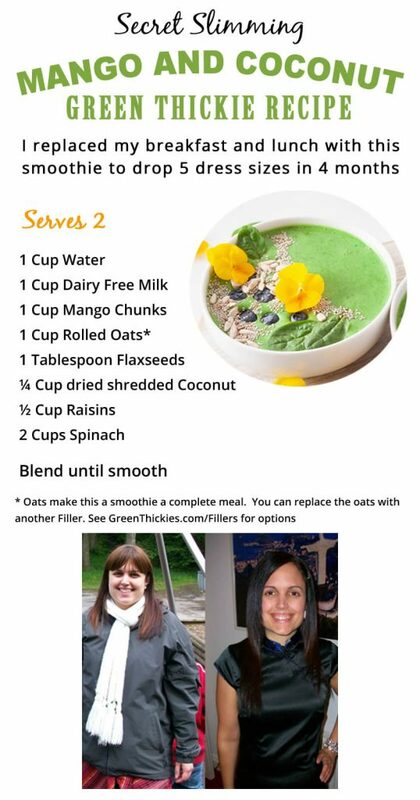 When I invented my own meal replacement recipe which I called a Green Thickie, it rescued me from those fad diets. 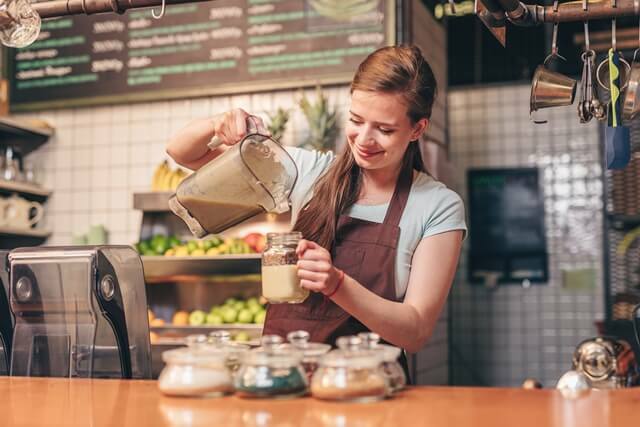 Meal replacement shakes come with benefits you can’t get from protein shakes and they are a great way to stay clear of processed food if you’re careful. 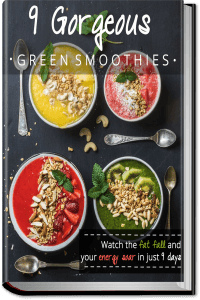 Traditional meal replacement shakes and powders are often jammed packed with refined sugar, carbs, and artificial ingredients. There is temptation everywhere, trying to steer you off track but a meal replacement shake can rescue you from the junk food trap. They are incredibly portable and provide a healthy solution when you are stressed or in a hurry. Popular meal replacement shakes typically have loads of refined sugar and harmful artificial fillers. That’s one reason I don’t recommend them for healthy weight loss. What if you could have a nutritionally balanced, all-natural, vegan shake that takes great without disgusting fillers? Give yourself two minutes and make a homemade meal shake. It’s so simple, and I’ll show you how in just six quick steps. Add 1 cup of nondairy milk, like an almond or hemp milk. 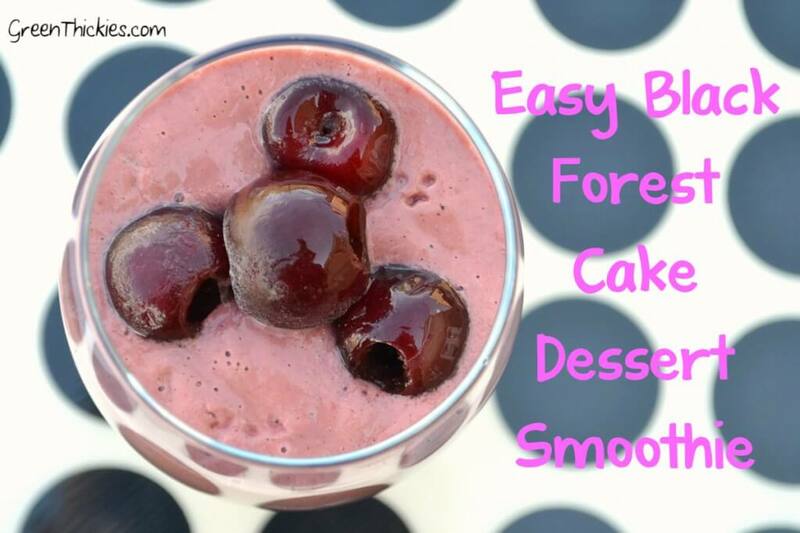 It gives your shake its creamy texture and smooth, delicious taste. Next, take a handful of leafy greens, like spinach or kale, and dump them in the blender. Greens are great for your skin and boost your energy levels tremendously. Then, add to the mix 1 cup of fruit. You can also use two little apples or one banana. Fruit will always be a nourishing component to a healthy life, no matter what the low carb fans will tell you. Take 1/8 cup of seeds or nuts and add to the blender. They shouldn’t be roasted or salted. These will give you the protein to help you feel full. Now, you want to add a filler — a natural one. 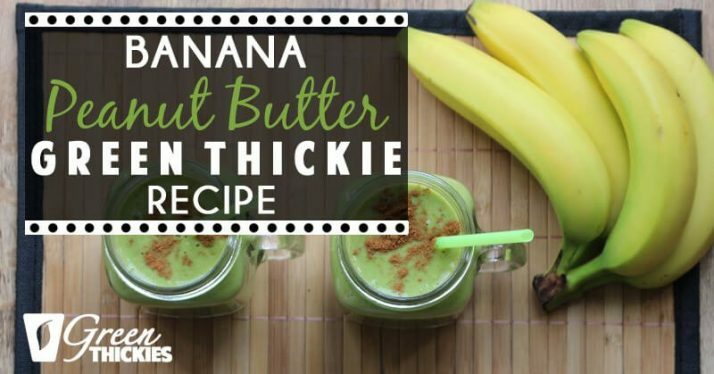 This filler could be one little sweet potato, 1/2 cup of oats, one banana, or 1/2 avocado. Whichever one you choose, it’ll work with the protein to fill you until you’re able to enjoy your next meal. It also adds the right amount of calories to keep the weight off without cravings or hunger. Lastly, for sweetness, add 1/8 cup of dried fruit, like raisins or dates. Then blend your yummy concoction. 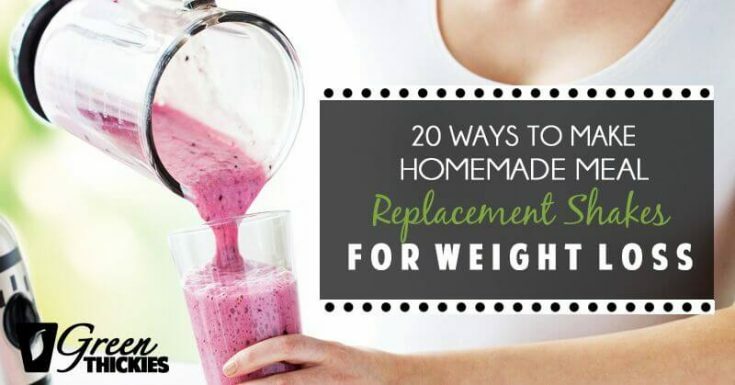 You’ll be amazed at how great your homemade meal replacement shake tastes. I also have different recipes you can try but this is a great place to start. If you’re not interested in making your own meal replacement shakes, then this is the next best thing. If you want to purchase a meal replacement powder, not loaded with unnecessary calories or extra sugar, check out these three powders I feel are excellent choices. The Huel meal replacement shake is made from pea protein, oats, flaxseed, coconut MCTs or medium-chain triglycerides, and brown rice protein, with a vitamin and mineral blend, vanilla flavor, and Stevia for sweetness. You can get an unsweetened and unflavored version as well. It’s hard to get vitamin D and B12 when you’re on a plant-based diet or even standard diets, but Huel provides these two vitamins, which you could consider a plus. With three scoops, which Huel recommends, you get 500 calories, 1 gram of sugar, and 37 grams of protein. Read more Huel reviews on Amazon by clicking here. Raw Organic Meal from Garden of Life has 44 superfoods, which fills you up and increases your energy. You get 21 whole food minerals and vitamins and fiber. With two scoops, 40 grams of protein from 13 organic sprouted seeds and grains. This meal replacement shake also includes vegetables and fruits, with probiotics and enzymes. What makes Raw Organic Meal an excellent powder is that there are no artificial sweeteners, flavors, colors, or preservatives. There’s also no dairy, soy, gluten, added sugar, tree nuts, or filler ingredients. Check out Garden Of Life Meal Replacement on Amazon by clicking here. With Ka’Chava, you get superfoods as an added benefit, with eight antioxidant-rich superfruits. Ka’Chave is not full of harmful fillers. 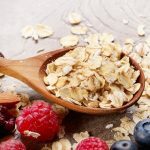 There’s plenty of vitamin B12 — 50 percent of the recommended daily amount, in addition to 25 other essential vitamins and minerals. There are 24 grams of 100 percent plant-based protein. Ka’Chava only has 250 calories and 9 grams of fiber. It has digestive support, with 17 greens and vegetables and omega-3 from chia and flax. The powder also gives you an adaptogen herb blend with 1020 milligrams, including organic ginger root and organic Shiitake Mushroom Mycelia, among other adrenal-supportive adaptogenic substances. Get Ka’Chava Meal Replacement Shakes on Amazon by clicking here. 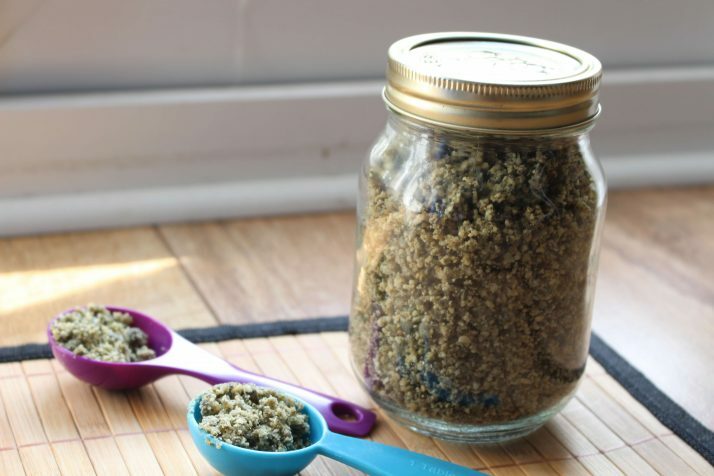 Making a homemade meal replacement powder is an alternative you’ll find is cheaper than store-bought brands, healthier and gives you more control over the ingredients you’re including. Here are three recipes you can try. If you like this recipe you can make a larger batch next time. Make sure your blender is completely dry. 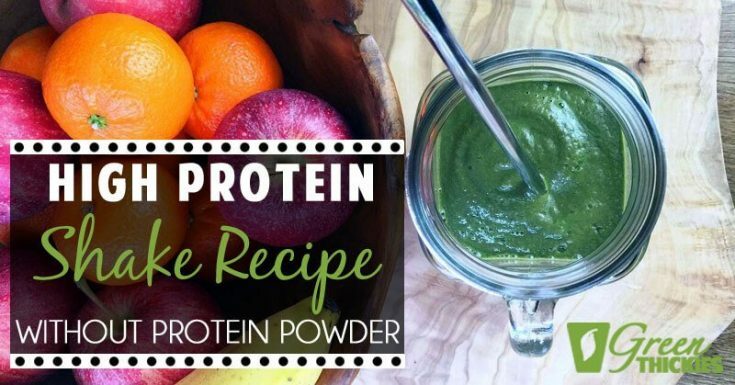 Add all the dry ingredients to your blender and blend for about 20 seconds until the ingredients form a fine powder. When you are ready for your meal replacement, mix the powder gradually with 1 cup of water or until your desired consistency is reached. If you want more nutrients per shake I suggest you add the following to your blender with 1 cup of water along with the powder. 1 fruit such as 1 banana, 1 apple, 1 pear, 1 small mango, or 1 cup of fruit such as 1 cup of berries, 1 cup of pineapple, 1 cup of chopped orange. If you want more information about making your own meal replacement shakes using a homemade powder, read this. 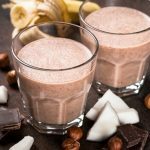 Although these homemade meal replacement shakes do provide enough protein, a lot of people will want to add more protein to their shakes. I recommend the following healthy protein powders. 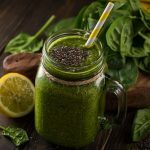 If you are going to blend your entire meal, you may as well make your entire meal replacement shake in the blender, rather than grinding up the powder first, adding water and then blending more ingredients into it. 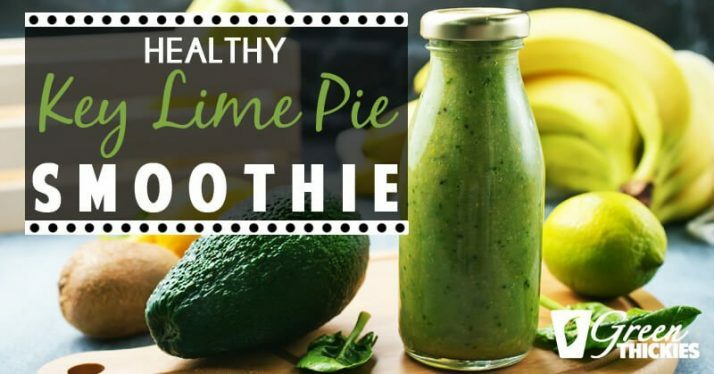 Simply throw all of your ingredients in the blender at once to save time. Here are my favorite homemade meal replacement shake recipes that I make every single week. Meal replacement shakes and powders are convenient, and they can help you shed some excess pounds. However, traditional meal replacement powders are not something you should look at as a long-term solution to maintaining a healthy weight. Some meal replacement shakes are wholesomer than others, but the best ones are the ones you make from healthy, natural ingredients at home. 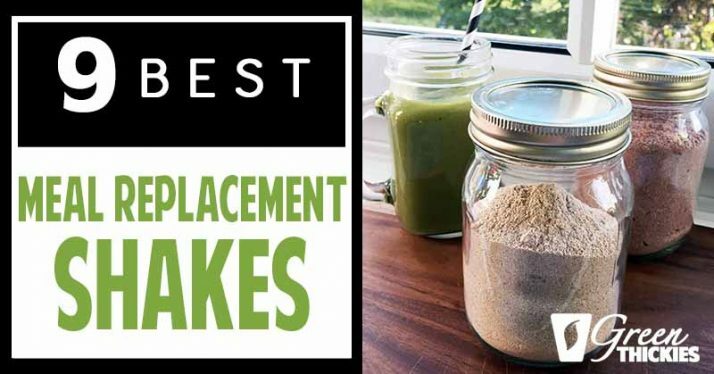 Meal replacement powders should always come second to nutrient-dense, whole foods which can be blended up into homemade nutritious meal replacement shakes. 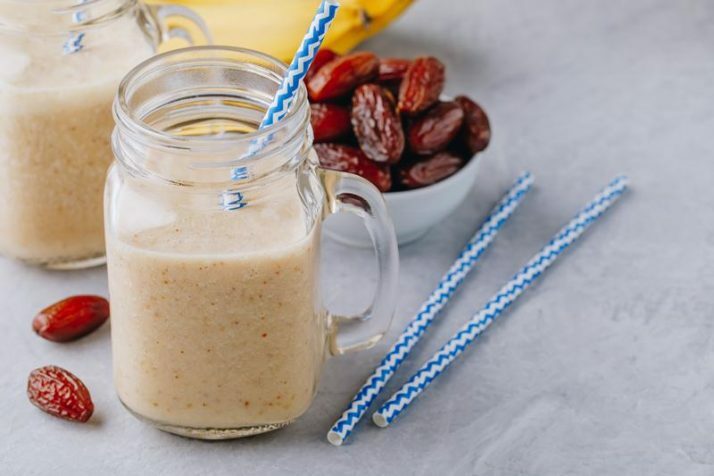 If you’re trying to stay healthy and always on-the-go, then a Green Thickie or homemade meal replacement shake once or twice a day can make sure you’re fueling your body in the healthiest way possible. 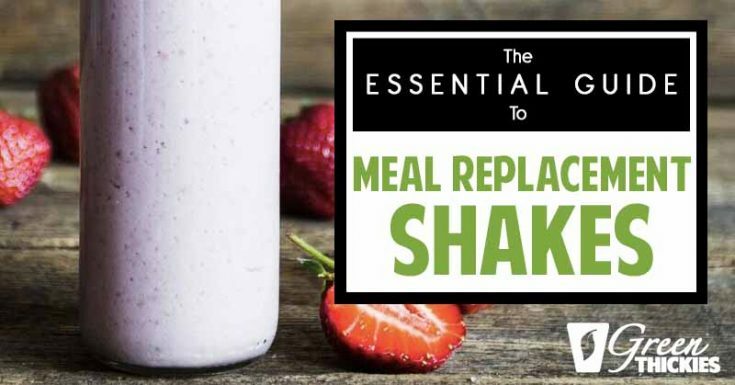 If you’d like to learn more about making your own homemade meal replacement shakes, I recommend you click the link to read my article below. 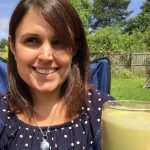 If you’d rather not try and work out how to lose weight by designing your own diet, let me do the work for you. 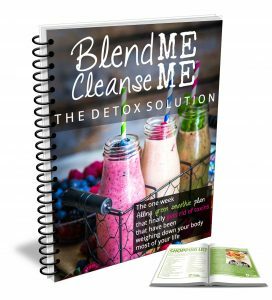 I have created a 7 Day Meal Replacement shakes detox where you replace 1-2 of your meals with a healthy homemade 2 minute shake, and have a quick natural vegan dinner at the end of the day. 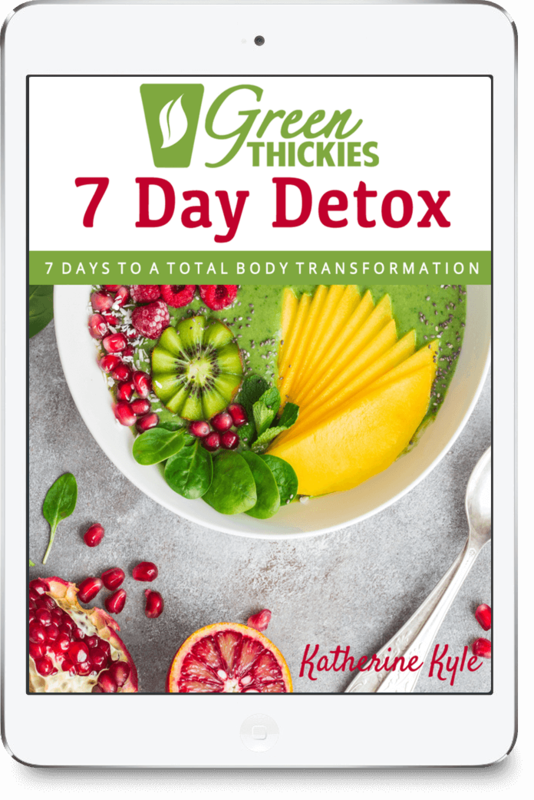 Click here to read more about Green Thickies 7 Day Detox. 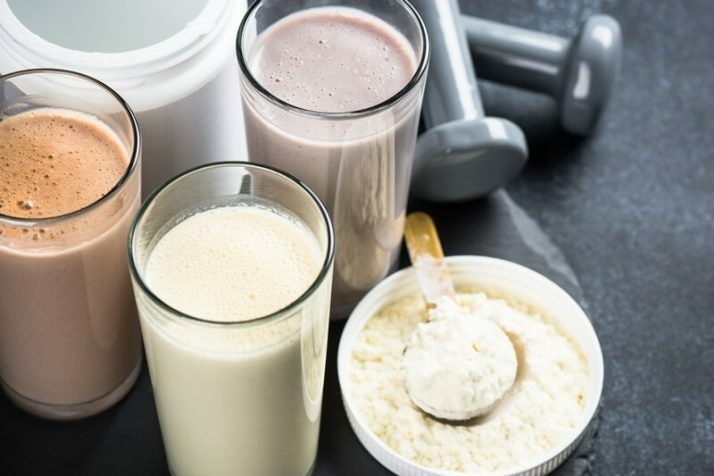 If you enjoyed this article, 9 Best Meal Replacement Shakes: Filling Meals In Minutes please let me know your thoughts in the comments. CAN YOU PLEASE SEND ME THE 9 MEAL RECIPE TO MAKE THE MEAL REPLACEMENT SHAKES. We don’t yet have this as a printable but if I get a few more requests I’ll definitely create one. I did also email this out to my email list so if you are on that, hopefully you got it. I would suggest printing or pinning the recipes for later.